A live, blooming daffodil plant is a great way to celebrate spring! 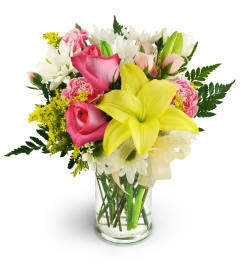 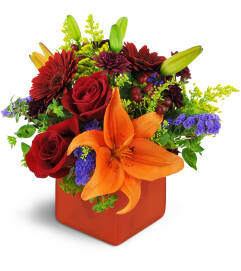 Whether planted in the garden or admired indoors, it’s sure to being a smile wherever it goes! 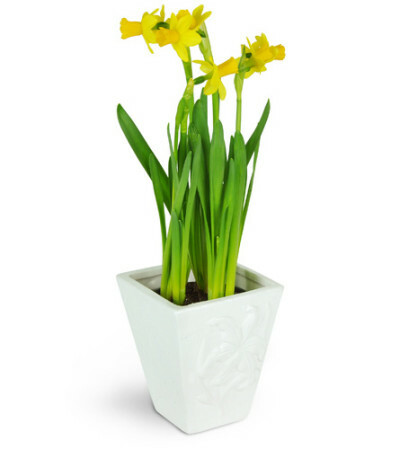 One live daffodil plant arrives in a lovely white ceramic container.